The REDARC 20A Linear Voltage Reducer powers 12V loads including radios, computers and other communication equipment in continuous current rating of 20 Amps. The VRT single-circuit linear voltage reducers provide a 12 volt nominal output from a 24 volt input. VRT reducers are suitable for powering sensitive 12 volt loads, including radios, computers and other communication equipment. For a guide on a standard installation for our Linear Reducers click here. 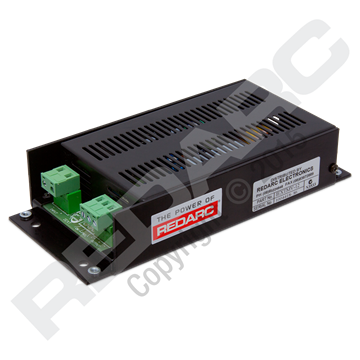 The REDARC 5A Isolated Voltage Converter can supply a range of DC-DC voltage converters for forklift truck applications. it can power 12 volt equipment like stereos, rotating beacons or communications equipment.